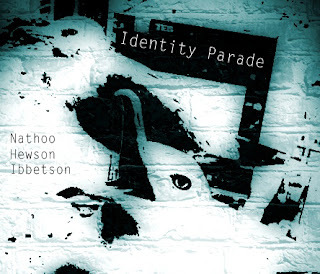 Identity Parade: This new SE Collective trio was formed as a natural extension/synthesis of three projects, a duo between Alam Nathoo and Tom Hewson, a duo between Pete Ibbetson and Nathoo, and a trio involving Hewson and Ibbetson. New material has been written by all three musicians drawing influence from artists such as John Taylor, Paul Motion, Tom Rainey and Tim Berne. Simmons/Crowley/Turville/Wright: Rory Simmons (trumpet/flugelhorn) brings three of London's most exciting new improvisors together for the first time together. John Turville (keyboards/piano), George Crowley (tenor sax/clarinet) and Lewis Wright (drums/vibes). With influences of Dolphy/Tim Berne/Paul Bley and Dewey Redman, the combined voices of these unique musicians will make for a vibrant quartet, exploring sounds, melody and rhythm with intricacy, verve and swagger.